The in-built camera app on iPhone and Android is capable of taking pictures and recording videos but the app itself is pretty basic with no added features to make video recording fun and interesting. If you love shooting videos from your Android or iPhone, you should probably switch to a dedicated video recording app. 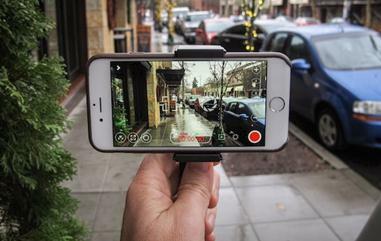 Here are 20 best video recording app for Android and iPhone. Wondershare PowerCam is a complete camera app packed with features that make it great for taking pictures, recording videos and for editing them as your heart desires. 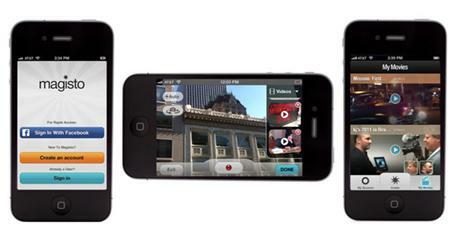 The app is great for recording videos with its real-time video shoot feature offering fantastic results. Coupled with wonderful video editing tools, you can shoot and create extremely cool videos directly on your phone. To record a video with Wondershare PowerCam on your Android, tap on the app's icon and then tap on the "Video" icon to start shooting the video. Tap on the red button in the center to stop the recording whenever you want. Phone cameras produce their best result under light and it’s always difficult to shoot anything if the conditions get dark. 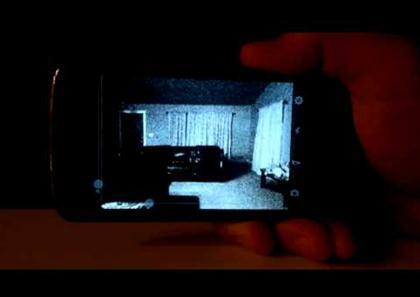 If you want to shoot clear videos in low light conditions, Night Vision Video Recorder is a must-have app. The app has a slider function that lets you set the sensitivity of the conditions and it adjusts the camera light accordingly to help you record better videos even when the light is dim. To record a video with the app, simply tap on its icon and then tap on the video camera icon at the bottom of the screen to start recording a video. 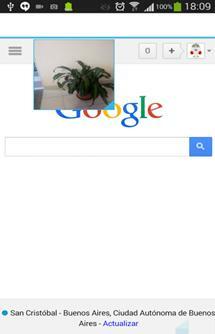 Floating Camera Video Recorder is a camera app that can take pictures or record videos while working in the background. You don’t even need to launch the app and can start recording a video just by pressing the Volume button. You can actually do whatever you want on the phone as the app would seamlessly keep recording the video in the background until you press the Volume button again. To record a video with the app, you must first open the app and go to ‘Quick Settings’. Choose ‘Video Recording’ from the menu. Now, when you want to start recording a video, press the Volume up button and when you want to stop the recording, press the Volume down button. 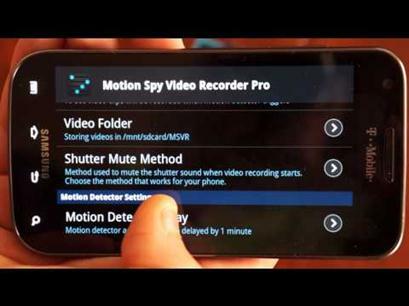 Secret Video Recorder is a very smart video recording app which lets you record videos secretly. The app comes in handy when you don’t want anyone to know you are recording a video even if the person takes a look at your phone’s screen. The app can keep recording in the background even after your phone gets locked and will keep recording seamlessly until you unlock the phone and stop the recording. To record a video with the app, simply tap on its icon and then tap on the power button at the middle of the screen on the app’s homepage to start the recording. AZ Screen Recorder is different from other apps in the list as it can’t be used to record videos from the front or back camera. 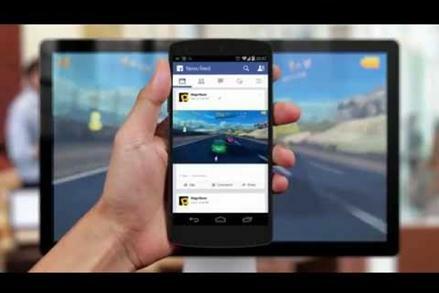 It is used to record activities happening on your Android screen. The app allows for recording the screen and also has an option of audio recording so that you can capture your voice while recording whatever you do on the screen. 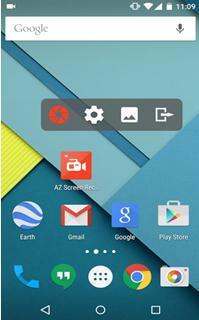 To record a video with AZ Screen Recorder, open the app and tap on the first icon. Every activity from there on in will be recorded by the AZ screen recorder. To stop the recording, go to notifications bar and pause or stop the video. If you're not necessarily looking to create professional content, but rather want something well-designed and efficient to capture your videos and post on social media, then Magisto is the perfect choice for you! All you have to do is choose the still photos and clips you want to include, select a theme and a song from the app's collection and the software will condense the material and make it worthy of a fun, shareable Facebook post. Next time you're trying to take a group selfie, but the camera angle gets distorted and all you're left with is a crooked picture, remember you should have purchased Horizon. Your friends will thank you for it. This video recording software accurately captures fast-moving events and provides various resolutions, as well as lock focus and exposure. However, what makes this app unique is its ability to reframe videos recorded in the wrong orientation. What this means is that Horizon automatically takes those horizontally recorded videos and converts them to the proper landscape orientation by using your phone's gyroscope to level your recording. This compact video recording software features several easy-to-use editing and saving tools, which allow you to create a short and entertaining video for your social media platform. With over 30 million users all over the world, VivaVideo Pro can turn even the most uneventful everyday moment into a fun vine or viral video. If you're willing to pay extra for performance, then take a look at this video recorder software. 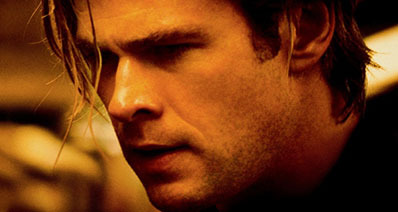 Cinegix's posh and versatile app provides its users with the finest, high-quality recordings. Featuring audio control, speed zoom and frame rates up to 240fps, Filmic Pro turns a regular iPhone into a veritable High Definition video camera. 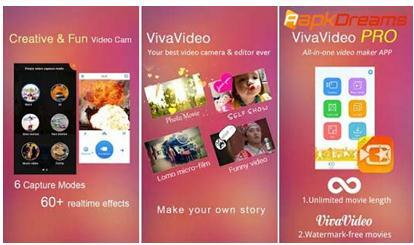 This is the most powerful, user-friendly video recording and film-making app on the market. Featuring a myriad of ingenious recording options, including audio compression, secret mode recording, stills while filming, flexible fps and resolution, this software is just what you need if you’re looking to upgrade your social media presence – whether you’re targeting your personal or business-related profile. MoviePro is a sophisticated and highly-reliable software that allows you to capture your most worthwhile moments to later share and enjoy with your family and friends. 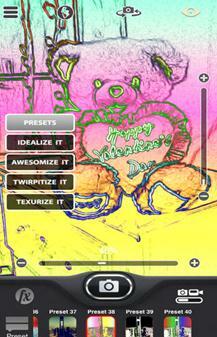 iMagicCam is a wonderful camera app that lets you record videos and add filters in the video in real-time. A normal video editor allows you to edit the video after it has been shot but with iMagiCam, you can add the filters and effects on the go. 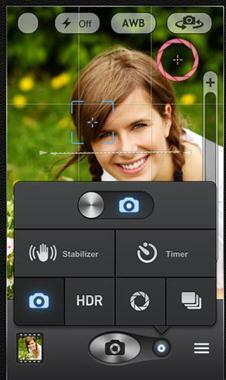 To record a video with the app, open iMagiCam and then tap on the Video Camera icon on the right side of the screen. Top Camera LITE is a great video recorder if you want to record professional quality videos with your iPhone. The app allows you to change saturation, lighting and temperature etc while shooting the video which is a big bonus. The app even allows control over shutter speeds. To record a video with Top Camera LITE, open it on your iPhone and then slide the button alongside the camera icon to switch to video recording mode. Snap Different Photo Video Editor is a very fun video editor. 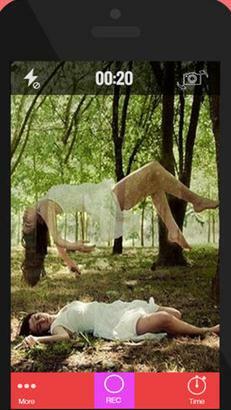 It allows you to record videos and then add them together to make some freakish videos. 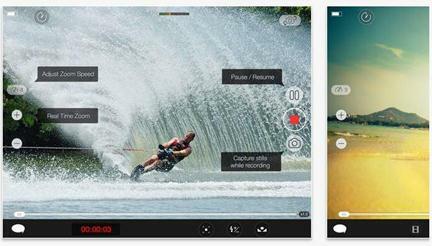 With wonderful fading features, the app gives you total control over how you want the recorded video to shape up. 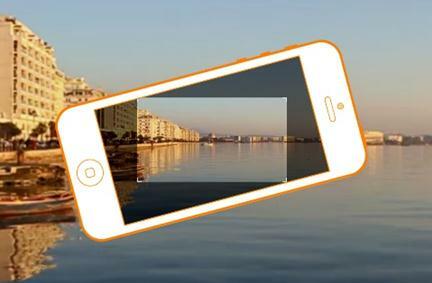 To start recording a video with the app, open it, select a layout and then start recording the video! Top Secret Video Lite is a recording app that lets you capture videos without letting anyone get any idea about what you are doing. It's particularly useful when you want to capture someone getting pranked. The app lets you schedule when you want it to start operating and therefore, whenever you want to start recording a video, you should open the app, go to "Scheduling" and then set a time after which app should start recording the video. Shou is different from the other four apps mentioned in the list as it does not record videos with your front or back camera. 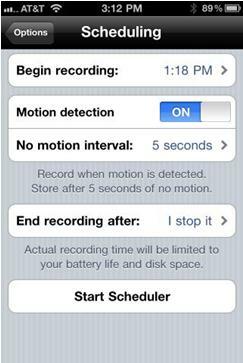 It actually records activities happening on your iPhone's screen. If you want to create a tutorial or want to record your gaming or want to record what your children do on your iPhone, Shou works the best. Unfortunately, the app is not available on iTunes and therefore, you will have to download "emu4" first and then from this app, you can download and use Shou. 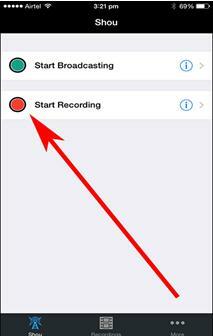 To record a video with the app, open the app and tap on the "Start Recording" option. 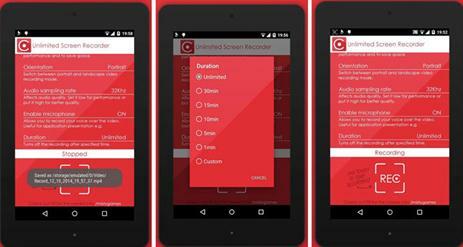 This app offers the basic tools that allow you to record your Android screen. The first and only completely free mobile video recorder software, Unlimited Screen Recorder is perfect if you’re looking for something low-cost and simple that can ensure you seize all those unforgettable moments from house parties and fun events. This software is the only professional HD video recorder that triggers on motion detection. Designed for casual users, but also built to function as a CCTV and security video recording, surveillance camera, or infant baby monitor, Motion Detector Video Rec Pro features an auto lock device/screen, sensitivity adjustments and custom sender email option for complete privacy. This is currently one of the trendiest apps on the market, devised using over 10 years of imaging technology expertise. What’s unique about this particular software is its high fidelity color enhancement. 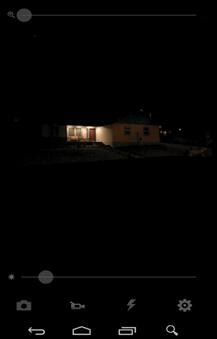 Used as a night vision or surveillance camera, or for low light video recordings, Night Video Recorder Camera is the only professional night vision app that supports picture and HD video recording. This is perfect for Android lovers that enjoy recording in darker settings. You can also test this software out before fully purchasing it, by selecting the free option available on the Android market. Thanks to this app, recording your mobile's screen in HD is only a tap away. 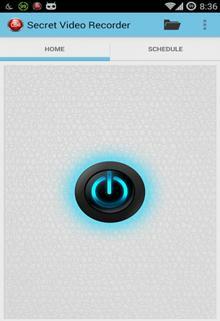 Mobizen allows you to see, type and control your mobile device from your personal computer. This fun video recording software offers you a few perks that other apps on the market can't. 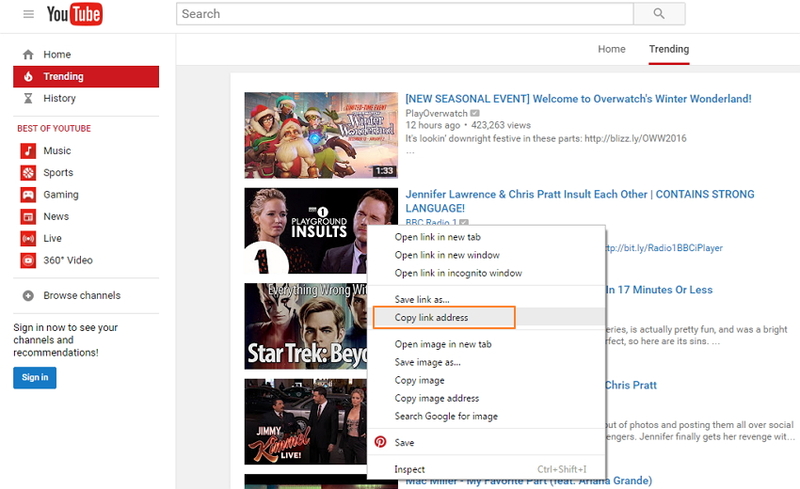 For example, you can transfer files to your PC, reply to text messages from your desktop, or even stream videos directly to your computer screen. 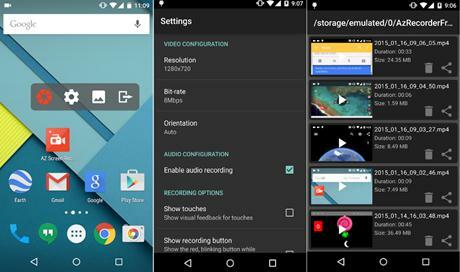 You can also record your Android's screen without using any roots. If you’re passionate about gaming, you can record your Minecraft and Clash of Kings sessions with a single tap. If Facebook and Instagram are more your cup of tea, then Mobizen allows you to record and use your Android anywhere, anytime. As seen on Google Play, Android Police, Droid-Life and Yahoo News, this app is currently one of the trendiest, most sought-out video recorder software for Android. Allowing you to record your screen in HD and Full HD, this is the only screencast on the market that can be paused and resumed while recording. Moreover, AZ Screen Recorder comes with several fun and handy features, including an overlay front camera option, a countdown timer, video trimmer and magic button. iTube Studio Best Video Downloader (If you use Windows computer, you can use iTube Studio Video Downloader for Windows) is a great video recorder application which works well and allows you to record videos from Hulu, Netflix, Vimeo, iTunes, BBC iPlayer Live, Hollywood Video, CNN, BlockBuster, Dailymotion, Metacafe, MySpace, clip Fish, MyVideo, and more in 1 click. Record unable to download videos, tutorial videos or any video you are playing actively on the screen. Save the recorded video in your Mac or Windows then transfer the video to your iPhone or Android directly. Offer a PRIVATE MODE which helps to protect your private downloading information with a password. Not only a video recorder but also a video downloader and converter to download and convert videos from more than 10,000 video sites. 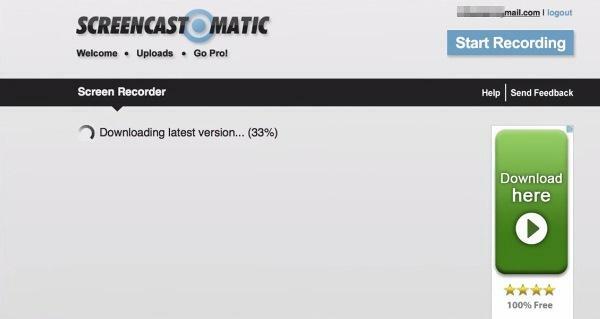 Support batch download for multiple videos such as YouTube playlist, Lynda playlist, etc. 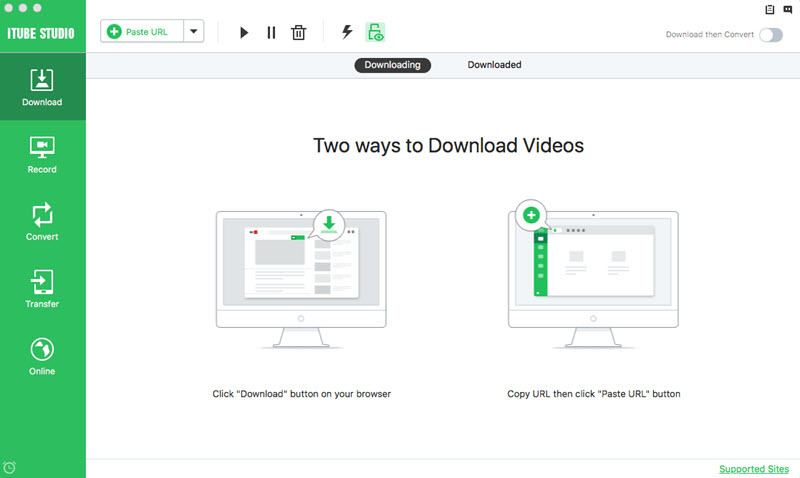 Download online videos at 3X faster speed from URL or browser extension with original quality maintained.